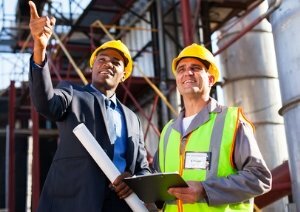 What does a degree in civil engineering mean for you? Well, if you choose to pursue a civil engineering degree, you’ll discover the extent to which civil engineers shape, build, maintain and expand societies. Whether it’s a bridge, space satellite, dam, road or tunnel, civil engineers are the people who design, construct and manage the entire process, from development to evaluation. Click on the tabs below to find out about civil engineering degrees, specializations and career paths. First of all, what is civil engineering? Civil engineering is the professional practice of designing and developing infrastructure projects. This can be on a huge scale, such as the development of nationwide transport systems or water supply networks, or on a smaller scale, such as the development of individual roads or buildings. 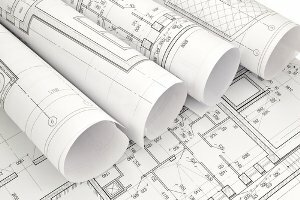 If you study civil engineering at undergraduate level, you’ll learn to apply mathematics and scientific knowledge (particularly physics) to real-life situations and problems that arise from creating and maintaining structures, taking into account environmental, financial, legal and ethical considerations. At its core, civil engineering is a combination of many scientific specialisms, including mechanics, hydraulics, geotechnics (using knowledge of the earth’s crust to solve construction problems), materials science and statistical analysis. As such, study of these foundational elements will feature heavily in the early years of civil engineering degrees. As well as the more scientific side, those who study civil engineering will get to develop their design skills, particularly computer-aided design. Project work is central to the subject, meaning that in the latter years of your degree you will be able to complete your own design projects individually or within a team. Undergraduate civil engineering degrees will typically be three or four years in length and will feature a mixture of lectures and lab work. There will also be an emphasis on working within a team, as this is considered a key skill for anyone pursuing civil engineering careers. Those who study civil engineering may also have opportunities to participate in field trips and complete industry placements, either as a ‘year in industry’ or for shorter periods. Civil engineering skills are strongly rooted in mathematics and science, and a high level of proficiency in these subjects is required in order to predict the performance and capability of the structures they create. For this reason, students with strong backgrounds in physics and mathematics who are also interested in designing functional structures, from bridges to hydropower systems, are prime candidates to study civil engineering. Although entry requirements for those wishing to study civil engineering degrees vary between institutions, most universities ask for strong academic grades in mathematics and science subjects. Due to the specialized nature of civil engineering, many courses are highly selective and competitive, meaning that top grades (in the UK, three As at A-level) are a common requirement among leading schools. Unsurprisingly, structural engineering focuses on structures. This could include houses, bridges, theatres, schools, hospitals and dams, but also machinery and vehicles – even air and space craft. You’ll learn about working with different materials, stress distribution and strain, effects of internal and external forces, and strategies for strengthening and rehabilitating existing structures. In a professional role, you will be working in close partnership with other engineers and architects, and may also be responsible for ensuring structures withstand all environmental elements and remain stable and secure throughout their use. In many ways architectural engineering is very similar to structural engineering, but generally this specialization is more focused on details and systems within structures – such as heating and lighting systems, ventilation and acoustics. Although heavily scientific, architectural engineers will also be greatly involved in the aesthetic design of their structures. Transportation engineering is concerned with the design of infrastructure to support travel by air, at sea and on land. This covers the planning and improvement of roads and railway systems, ports and harbors, airports and runways. Geotechnical engineering means specializing in the behavior of Earth materials – basically soil and rock. Geotechnical engineers may be employed in mining and petroleum sectors, and can also be involved in structural engineering projects, giving advice on foundations for above-ground structures, and also on underground or underwater projects. Environmental engineering focuses on developing strategies to prevent or reduce harm to the environment. Key issues include air and water pollution, as well as the disposal of waste materials. Other more specialized civil engineering courses that may be available to you include bridge design, environmental management, coastal engineering and earthquake engineering. Hydraulic engineering is concerned with the movement or control of large bodies of liquid, including water supply and sewage systems, irrigation, cooling facilities, flood and storm barriers, and hydropower. Civil engineering careers are both rewarding and challenging and can involve elements of construction, design, leadership and management, depending on your interests and specialist knowledge gained at university. You’ll often find ample opportunities for creativity and innovation, as well as the rewards of seeing projects come to fruition. All civil engineers need a good knowledge of design and construction methods, current technologies and best practices, as well as relevant legislation and regulations. Civil engineering careers often offer good prospects for progression, and the potential to earn a better-than-average salary, with many countries worldwide forecasting high demand in the coming years. If you’d like to work as a chartered civil engineer, you will need to take a postgraduate engineering course (MEng), as well as gaining a certain amount of professional experience. Undergraduate (BEng) students have a number of other options however, many choosing to work for engineering consultancies to plan and design projects within a team for various clients. Other roles include on-site contract work to oversee and organize practical construction, as well as work for local authorities, utilities companies and large corporations (such as energy companies). If you choose this career, you are likely to be involved in the design stage of a project, collaborating with architects and other professionals. Alternatively, you may find yourself contracted to handle the actual construction stage, dealing with practical issues such as procuring materials and meeting deadlines, and helping to resolve any problems that arise. As a contracting civil engineer, you will turn the plans of consulting civil engineers into reality, dealing with practical issues such as obtaining materials and meeting deadlines, and helping to resolve any problems that arise. You might be able to find a career which combines both roles. Maintenance engineers are commonly employed to maintain equipment and machinery used in manufacturing processes. These roles will involve regular checking and monitoring, and overseeing the replacement or upgrading of equipment. Building control surveyors consider areas of health and safety to ensure that building regulations and other regulations are monitored when buildings are designed and constructed. They also offer advice when buildings do not meet these regulations, and will make visits to the construction site at different stages to make sure that the work is being correctly carried out.